The Road to Waterside | Where creativity blossoms and spirits are renewed. Hello and Happy Spring! It feels strange to be opening up this blog and writing again. I have been focused on the books for the past few weeks and have missed sharing with all of you. My study time is nearing the end – only a few weeks to go. Whether I pass or not at least I have learned a lot! I did take a few hours this past week to work on a few Easter creations. You know by now that I love to decorate for the seasons and holidays so this was a good distraction. 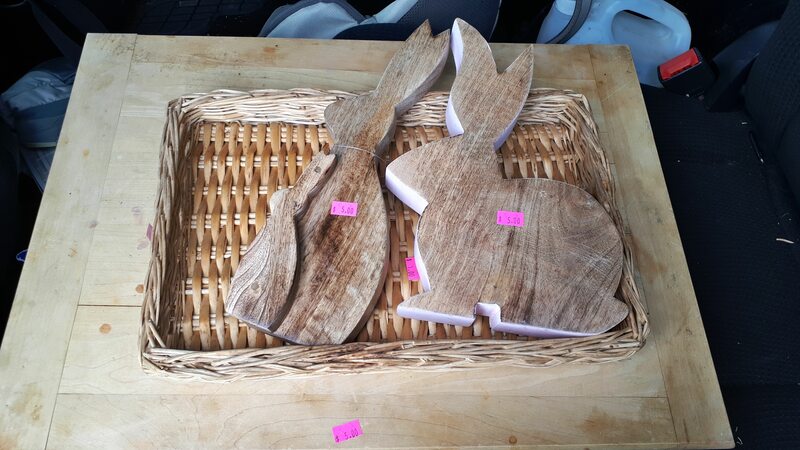 When I picked up a couple wooden bunnies at the Habitat Restore for Farm Fresh Style’s thrifting challenge a few weeks ago, I knew I wanted to create some bunny themed items for Easter. I also had this cute little child’s rocking chair my dear friend wanted me to paint so I thought they would go well together. It is a pleasure to welcome my insightful, smart, and talented husband back to the blog as a guest contributor today. Please make him feel welcome and enjoy his thoughts on creativity and being ok with just doing things for yourself but also being willing to share it with the world as well. Hi, recently my amazing wife Sheila celebrated her first anniversary of sharing with you this blog, ‘The Road to Waterside’. It is her musings, interests, and her creativity inspired by the region we live in with a focus on the areas surrounding Waterside, New Brunswick. Hopefully, you all have a ‘Road to Waterside’. That place where your heart both beats faster and rests more easily. A place where you gravitate to, at least in your mind. Both Sheila and I draw inspiration from our such place, and I expect you do too when you visit yours. Sheila has shared many projects resulting from her inspiration this week I am sharing some thoughts on creativity and inspiration. This is certainly a different kind of post. But I hope you can draw some things from it that will help you with your creativeness. 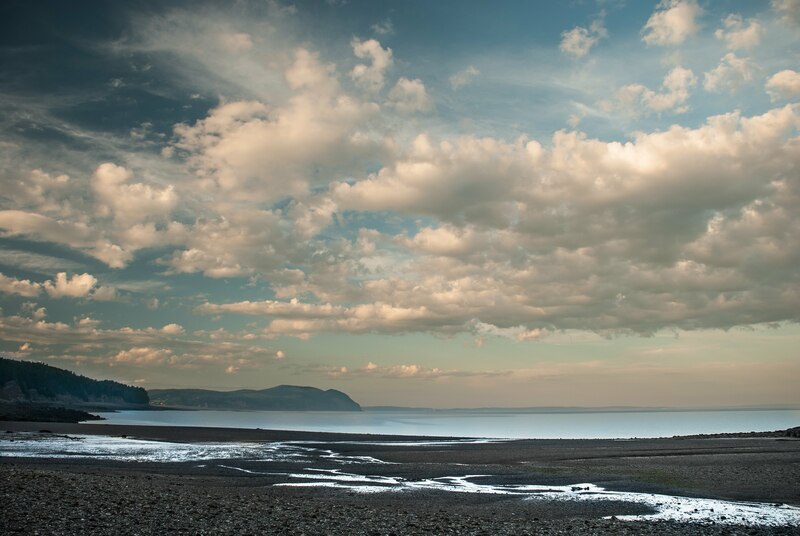 I like the feelings and childhood memories it evokes of visits to the Fundy shore. I like how the car looks old and how the image is de-saturated. But I’ve never shared this image because it seemed too busy. It is not singular enough to be as strong as it could have been. As of this evening it is officially SPRING!!! We made it through another winter. Congratulations if you don’t like winter! That would include me but getting down to Waterside the couple times we did this winter instilled a desire to try to do more outside despite the winter weather. Anyway, enough of winter. 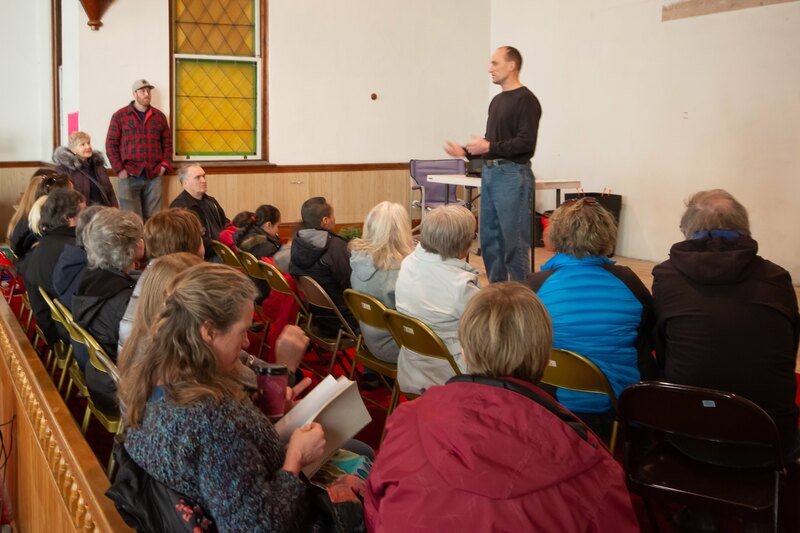 Time to think of Spring which a lot of you have ,after being at the Seedy Saturday a couple weeks ago. When I think of Spring, I think of new craft projects and home decor ideas. Are you getting spring fever yet? I feel a definite change in the air and temperature in the past week. 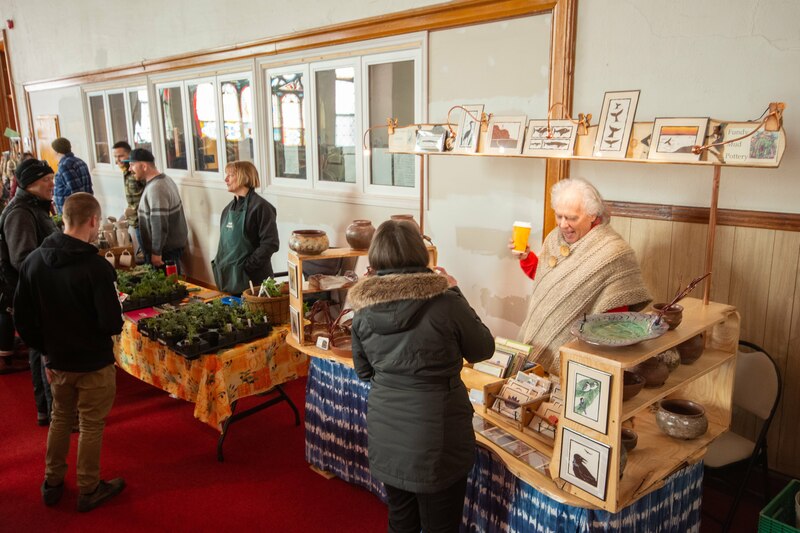 A sure sign of spring the past couple of years is when Foods of the Fundy Valley hosts their Seedy Saturday event. It is an event that gets everyone in the mood for looking at or finding the perfect seeds for that perfect flower or vegetable they want to grow. “This free event includes seed sellers, garden related local businesses and organizations and a seed swap table along with workshops throughout the day”. We were able to get down to it this past Saturday and also attended last year when it was in the high school in Hillsborough. You can see my post here from last year– I featured Farmer Brown who was back again this year for another workshop and plant offerings. 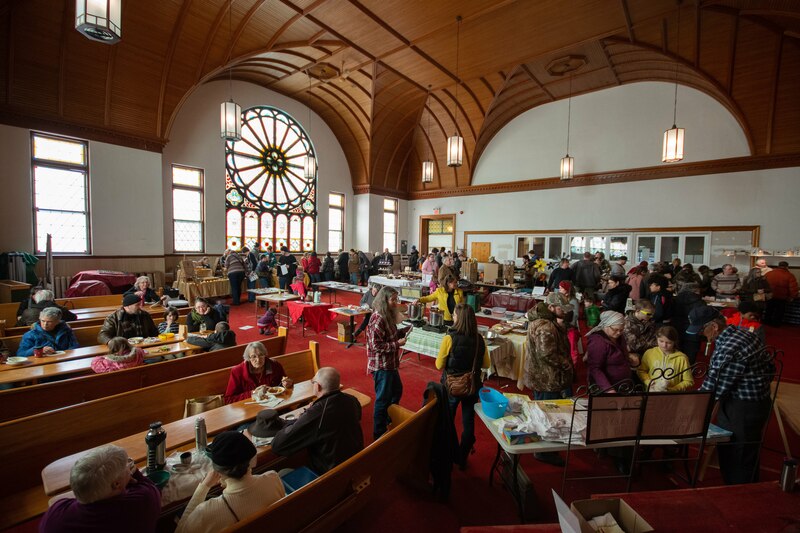 This year it was held in the old Baptist Church that houses Oliver’s German Bakery – featured here– and is the site of the Hillsborough Farmer’s market in the summer. Cochrane Family Farms was back as well as Rainbow Seeds, Fundy Farms, Mapple Farms and many others. There were also a few crafters and artisans. 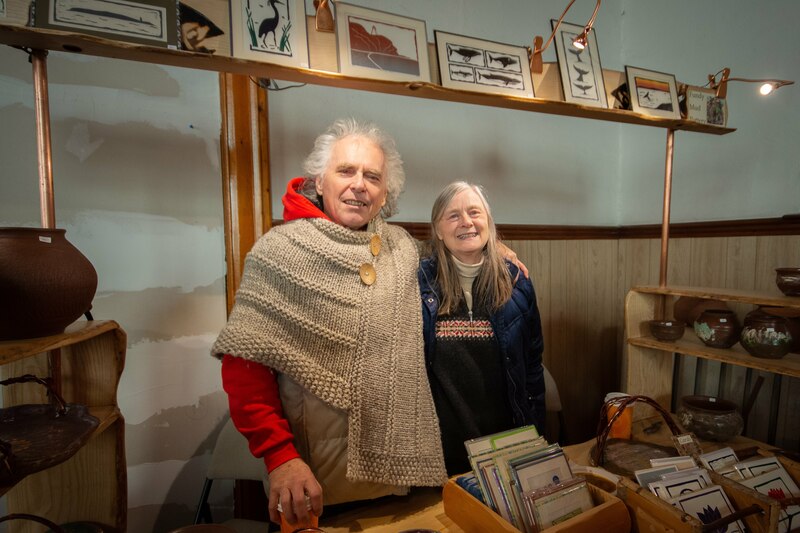 I got to meet Jim and Ruth -Ann who create pottery from Fundy mud ( Jim’s art-find his site here) and beautiful linocut prints ( Ruth- Ann – has a lovely site here ), You can usually find their smiling faces and booth at the weekly Farmer’s Market or you might spy their work in some of the shops along the Road to Waterside! One the things people look forward to is the fabulous soup bar put on by the Foods of the Fundy Valley as well. You can see there was a great turn out this year with lots of people enjoying the fares and wares. This was one of the many workshops people could attend throughout the day- another highlight! Lastly I want to give a shout out to Foods of the Fundy Valley who not only offer this event for free but also do so much more in the community.”They incorporated in October 2010 as a non-profit corporation whose mission is to foster an environment that promotes the production and consumption of local foods and local goods in the Albert County Area .” They support and run the Hillsborough Farmer’s Market, the Community Food Smart program, and the Community Garden at Forestdale Nursing Home They also offer workshops throughout the year at a nominal or volunary costs, They support educational programs at some of the local schools. They also have a beautiful logo that identifies businesses who are using locally grown or made products. Make sure you look for it and support our local producers and businesses! You can find out more about their various programs on their website and also become a member if you are passionate about food and community for only $5 per year. I wish you many happy planting dreams as we look forward to the next few weeks as we start to see new life starting to bloom. What a pleasure it is feature this next business and artist to you. When asked how he would describe what he does, Curtis Dionne identifies himself as an artist first. He has been honing his skill of blown glass for the last 15+ years including the 5 years he spent as an apprentice learning and practising his trade out west. Curtis has lived all over Canada but has settled with his partner Charlotte and kids in the beautiful Albert County countryside by the coast in New Horton. It is fitting that Curtis’ property borders one of the Nature Conservancy sites we featured last week on the blog at Two Rivers. This is where his studio shop is located which houses the handmade furnace he built brick by brick over a 3 year span. If you travel down the 915, you will find Curtis’ property with a unique building on it that you can see from this photo. It is called an octahedrone. We had the pleasure of getting down for the Lands and Trails meeting in Riverside-Albert Tuesday night hosted by the Southeast Regional Service Commission, the Nature Conservancy of Canada, and the Fundy Biosphere Reserve. This is a follow-up to the post I wrote just a couple weeks ago about the plans for a 150 km trail from Fundy park to Shediac that I heard about from Marc Leger, the Trails coordinator for the Southeast Regional Service Commission during Riverview’s Winter Carnival. The meeting this week was an opportunity to hear more about how all the “Nature” organizations can work together conserving, protecting and using the land in a sustainable, enjoyable way in concert with development and marketing of this new Trail. Hi everyone! This is my first post of year two. Wow, thank you to all those who entered our one year giveaway. I will try to do more of those over the coming months. You can always subscribe to my mailing list anytime to get more personalized information, photos and behind the scenes updates of what is going on at The Road to Waterside . Nestled on the side of the road and sometimes behind a sunflower jungle, you will find the sweet Cinnamon Soul Cafe on Main St in Hillsborough. We have stopped in here once before for a meal and a few times for coffee and one of their famous cinnamon rolls. I wanted to check them out again for the blog and introduce you to them. What a better time to visit than for a Valentine’s date. We stopped by on Friday evening last week right after work. It was a great time to go because we wanted to skip the crowd that was sure to hit during the Albert County Winter Carnival! The first thing that strikes you about the Cafe is the pop of colour on the red roof outside. They updated the outside a few years ago. It makes a striking view from the road. Great curb appeal! Then there are the blues you encounter from the outside to the inside. It is very welcoming and calming inside with the hints of coastal blues, wooden beams and planked ceilings. The cafe also serves as an art gallery for the owner Heather’s hand thrown pottery. I got to browse a little while we waited for our meal. You guys and gals are awesome!! When I started on this journey a year ago I didn’t know where I would land or what the road would look like. I want to thank you for following along.It is 1 year today that I published the 1st post. I love it when I think no one is reading or reacting and then I get a random person saying they look forward to where we are going each week. It keeps me motivated to keep looking for places and opportunities to explore on the Road to Waterside and beyond. As a special thank you and to show I love you all on this Valentine’s day, I have put together a small gift basket I would like to give someone. It includes a tote bag with our blog name on it, a photo mounted print of Waterside, a valentine craft with a print from Craftberry Bush, some truffles from Adorable chocolate, Grand Manan soap and an Eclair Lips lip balm. If you would like to participate and be on my contact list just go to the side bar and enter your e-mail address. I will be choosing a winner by Monday, February 18,2019. Thank you so much and much love to you all. I hope you all had a wonderful Valentine’s day! Happy heart day! May we have more lovely posts to touch your heart in the days to come. Recognition of the past and continued commitment of residents, policy makers, resource sectors and scientists to seek continued improvement in intergenerational sustainability. It was the hope that being designated as a UNESCO site would also bring local and international investment and interest to the area. At this time many organizations we heard from at the workshop are hoping that the Tourism department will see this designated site as a worthwhile investment for our province to engage people to visit our province. 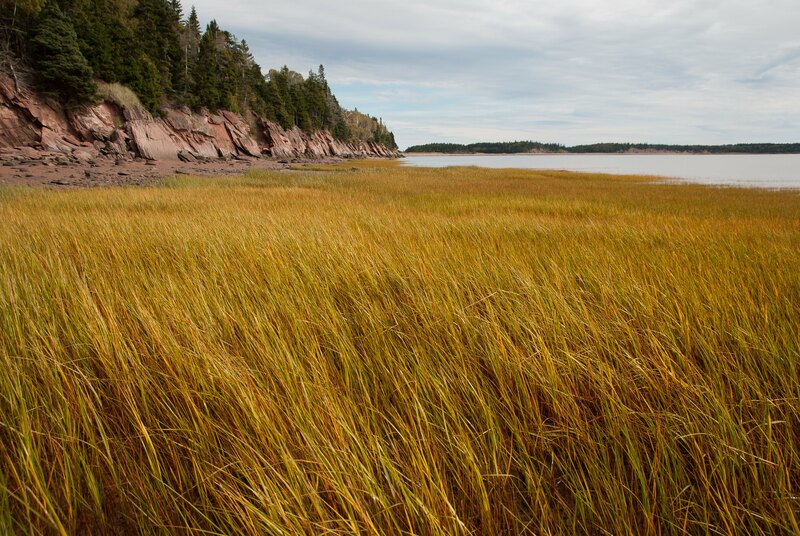 There are 18 designated areas in Canada with 3 right here in Atlantic Canada- 1 in New Brunswick with the Fundy Biosphere and 2 in Nova Scotia. 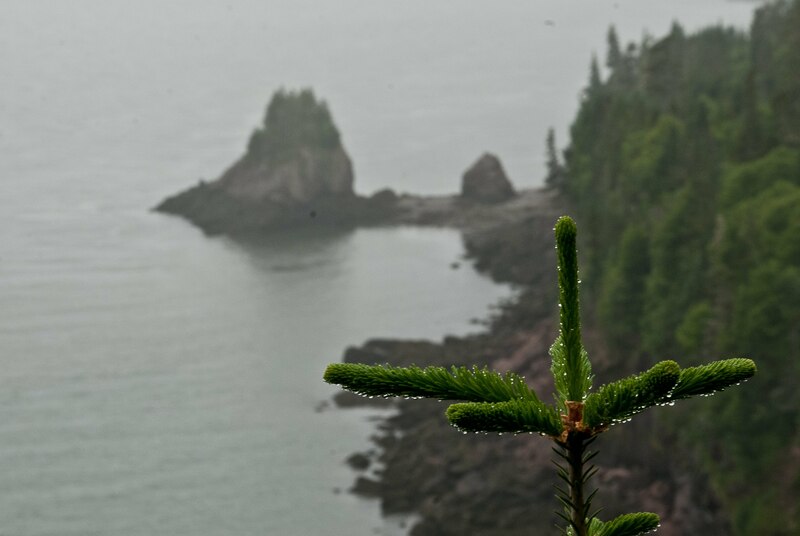 The Fundy Biosphere Reserve designated 50 Amazing Places to explore ,that are found along many already established trails and destination spots. The 2 places I mentioned above were ones I had never heard of so I had to look them up! Wouldn’t you know they are on the most strenuous trail in the area- the Fundy Footpath. Have any of you hiked this strenuous trail? Don’t be discouraged if you’ve heard how daunting it is! 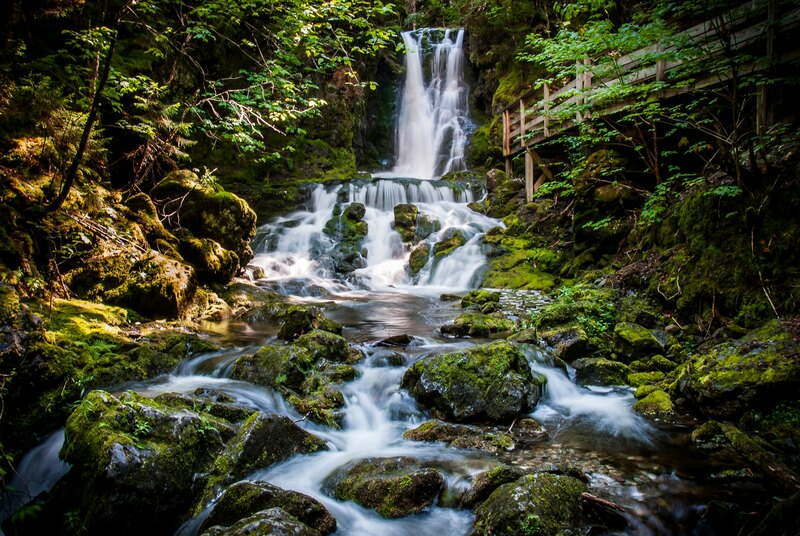 There are many other beautiful accessible sites like Dickson Falls in Fundy Park or Cape Enrage and of course our beautiful Waterside and Dennis beach made the list! You can see the whole map on the Fundy Biosphere’s website along with videos and articles about some of the areas. Hopewell Rocks in Hopewell Cape. Squaw’s Cap Look-off on the Coastal Trail in Fundy. 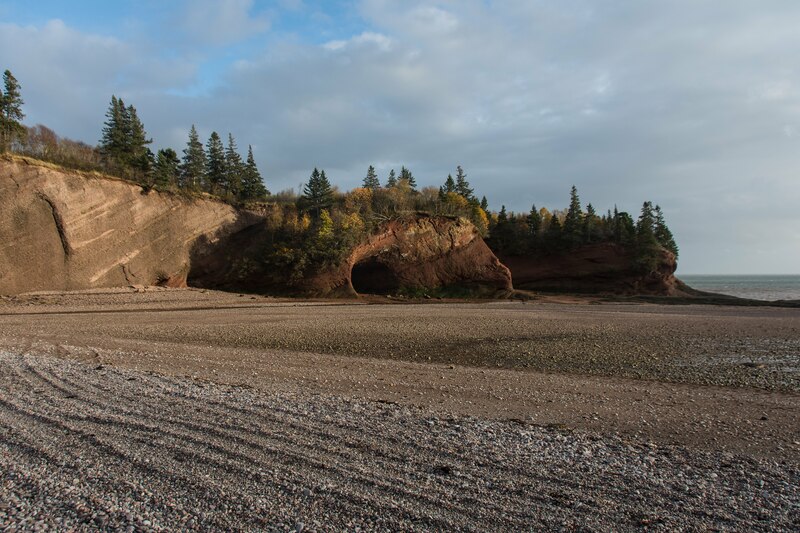 Herring Cove Beach in Fundy. Sea Caves in St. Martin’s. Speaking of trails, we also had the pleasure of hearing from Marc Leger, the new Regional Trails Coordinator for the Southeast Regional Service Commission. Marc has a long history with trail making with his Dad Alonzo on the Fundy Footpath and Dobson Trail. He gave us some interesting insights about trails that I had never thought of. Not only are trails great for connecting us to nature, relieving stress, and helping us stay fit they also connect people, communities, culture and businesses. Using the example from the Trail Town program of the Buddha Bear Cafe in Riverview, he showed how a trail can get people in touch and investing in small business right off the trail and making a huge difference in communities when the trails are accessible and easy to use. According the Trail Town philosophy , a trail is successful if they have the following qualities: 1) It creates economic growth, 2) Grows local business and creates jobs, 3) Compounds the trail’s economic potential, 4) Improves infrastructure in rural areas, and 5) Protects the trails and surrounding nature. Buddha Bear Cafe is right on the Riverfront Trail facing the Petitcodiac river. It is easy access for people to stop for a drink or bite to eat while they are also using trail. I know they have even had events where people come for a drink while watching our famous Tidal Bore. This kind of use of trails attracts locals and tourists alike to invest in our small businesses and communities! I was excited to hear about the most recent project Marc is working on. I had heard rumours about it lately but Marc confirmed the rumours are true! He is working on a huge project called The Shore-Line trail. 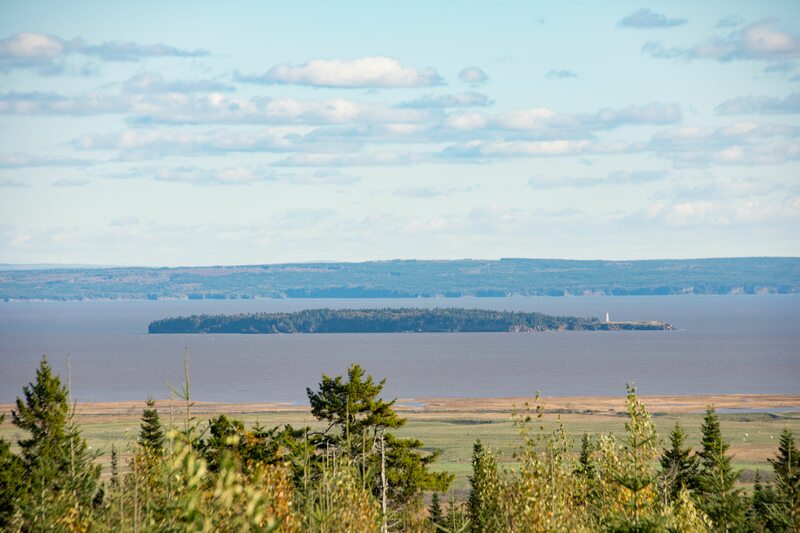 It is a proposal to join Alma to Shediac via a 150 km trail. 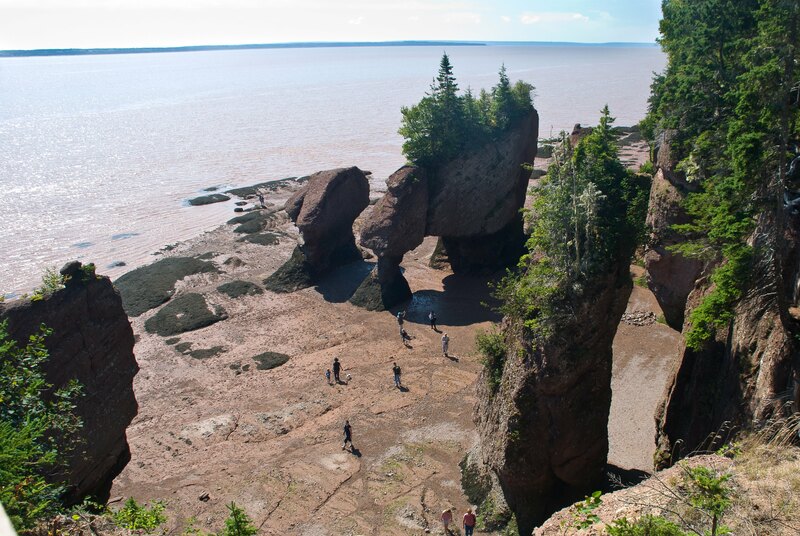 It would connect the provinces 3 largest attractions- Fundy National Park, Hopewell Rocks and Parlee Beach – as well as all the attractions along the way. Here is a little description of the trail from their proposal : The Shore-Line could be almost entirely off-road and will utilize abandoned rail corridors, dykes, undeveloped Department of Transportation and Infrastructure corridors and Crown Land wherever possible. Every possible effort will be made to locate a route that will follow coastline and waterways because trails users generally prefer trails to be close to water. Isn’t that awesome! How many have cringed when they hit the 114 outside Riverview? The narrow road with no margins makes us nervous in our cars let alone ever trying to walk, run or bike there. If you have been following my blog since last year, you remember the story of meeting a lady from Alberta who biked all the way to Newfoundland. She said the stretch from Hopewell Cape to Moncton was one of the scariest stretches she had driven in her whole drive across the country ( Thankfully she did get picked up for that stretch and didn’t have to drive it). It would be wonderful to have a trail that is safe, accessible and easy to manage for the average person. For those who are interested in this trail or anyone who lives along this route, there is a meeting Feb 26th at the Riverside- Albert Recreation Centre with a drop in from 1-4 and information meeting from 6:30-8:30. Representatives from The Fundy Biosphere Reserve, Nature Conservancy of Canada and Regional Service Commission will be there for the presentations. The last person we heard from at the workshop was Sarah Lord. Sarah has been the wellness coordinator at Jean Coutu in Riverview for the past 10 years. She has a passion for helping people get active and lead healthier lives. She has led various groups for walking, nordic walking, hiking, snowshoeing, etc. She has started her own business to lead people on tours and hikes especially if you are nervous about going alone. You can find her on her Facebook page Maritime Detours for all her latest news. I had such a great time meeting some new people in the world of outdoor trails and pursuits. Other honourable mentions I heard were the Outdoor Enthusiasts Club and the Women of the Wilderness if you are looking for groups to join- they are on Facebook as well. Next week will be 1 year in the blogging world. It has been fun to share places, businesses and creativity along the Road to Waterside. Be sure to tune in next week for a chance to win a Valentine’s basket to thank you for all your support!! Just when you think you can’t take the weather and the roads anywhere, you take a break in the weather and head to Fundy. What Mark and I found this weekend was a renewed hope for enjoying more of winter. Since the kids have gotten older and my hands have gotten worse in the cold with Raynaud’s disease, we really have gotten away from doing anything outside in the winter. This past weekend though was gorgeous and tolerable! I could actually see myself enjoying it (when the temperature and wind were just right 🙂 ). We wanted to show you this week all the ways Fundy is making it more inviting to enjoy the park in all seasons. Enjoy some of these photos Mark took while we explored all the options available to you.